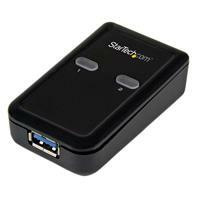 The USB221SS 2-to-1 USB 3.0 Peripheral Sharing Switch lets you share a single USB 3.0 peripheral with 2 different computer systems, avoiding the cost of purchasing duplicate peripherals or the hassle of swapping cables from one system to another. 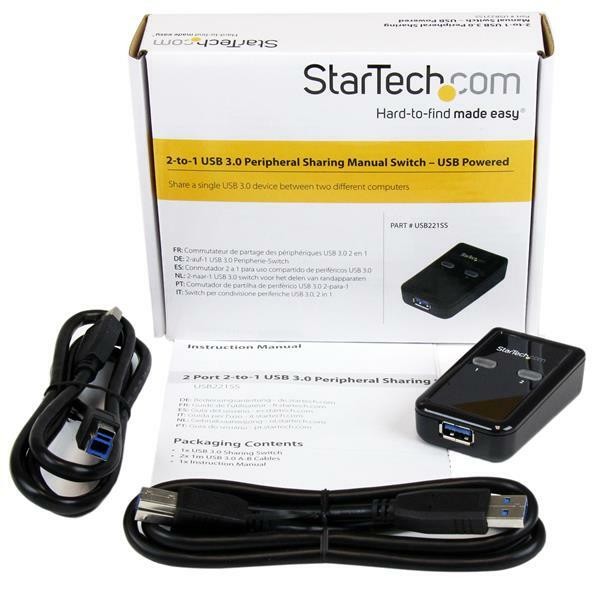 The USB sharing switch delivers speed and flexibility, with simple push-button controls for switching between computers, and support for SuperSpeed USB bandwidth (up to 5 Gbps) ensuring fast data transfers to/from your shared peripheral device. 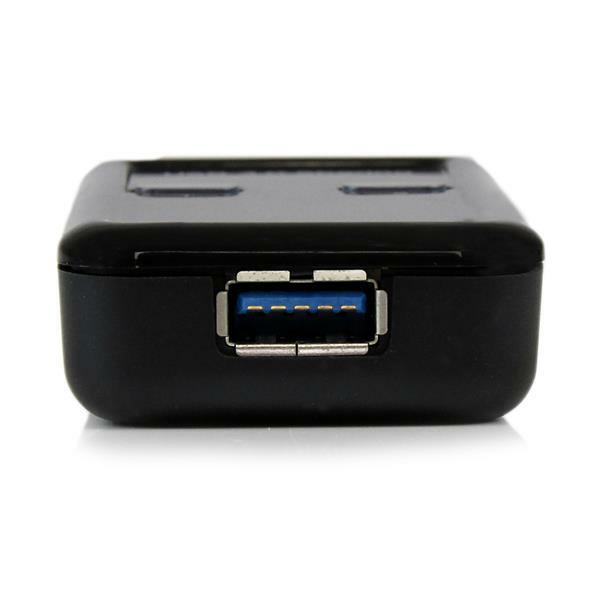 The switch is also backward compatible with USB 2.0/1.1 (480Mbps, 12Mbps respectively), so you don't have to worry about your computer or older peripherals not performing. 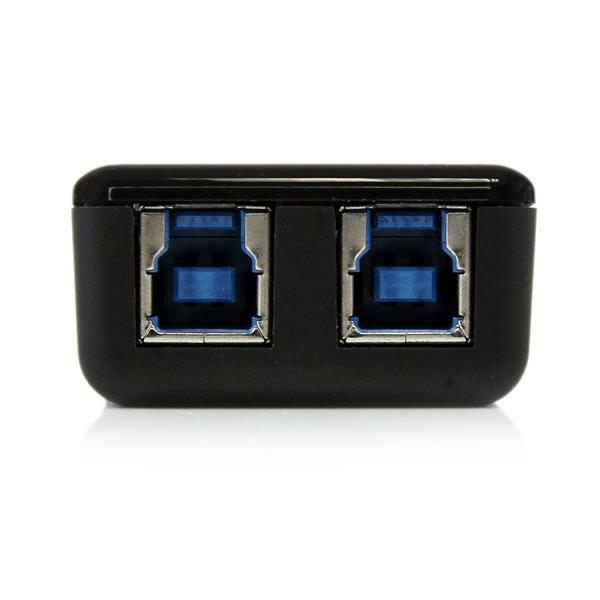 The 2-port USB switch can also be connected to a USB hub, to expand the number of devices you can share between the two connected systems, or to a USB drive enclosure or docking station, for a shared external storage solution. The switch features a compact design that takes up minimal desk space and is USB-powered, so it doesn't require an AC wall outlet.